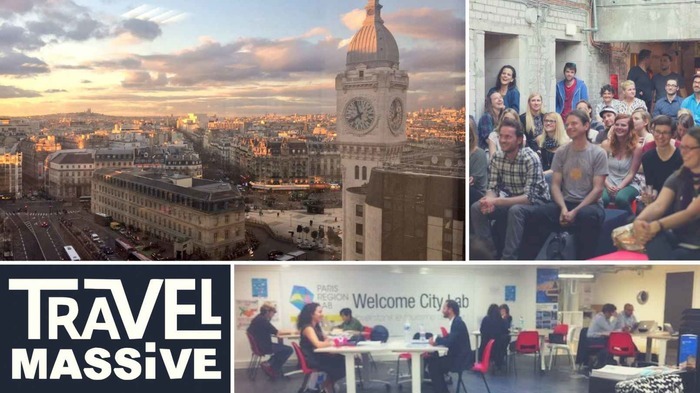 Travel Massive et Chapka Assurances organisent un concours de startups au Welcome City Lab ! Rendez-vous le jeudi 22 novembre au Welcome City Lab pour rencontrer Geoffroy Bonnet Eymard, CEO de Chapka Assurances et participer au concours de startups. Our November event will take place at the Welcome City Lab, the travel startup incubator at Gare de Lyon. On top of networking opportunities, you will have the chance to listen to enthralling speakers. We are delighted to welcome Chapka Assurances as a sponsor for this event. Finger food and drinks will be kindly offered by them. Geoffroy Bonnet Eymard, CEO of Chapka Assurances, will explain will explain how he managed to build from scratch a travel insurance broker dedicated to travelers and tourism professionals. The winner(s) will get a prize offered by Chapka Assurances. B2C, B2B, B2B2C welcome ! Looking forward to seeing you the 22nd of November!